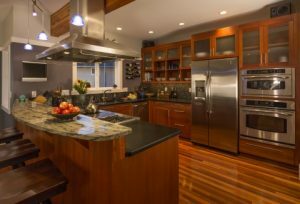 Questions to Ask Before You Choose Kitchen Cabinets | Affordable Granite & Cabinetry Outlet Inc. If your kitchen makeover includes picking out new kitchen cabinets in Newburgh or Dutchess County, then you have a lot to consider. A kitchen designer in your area can help you create custom kitchen cabinets or modern kitchen cabinets that fit your budget, lifestyle, and overall kitchen design. 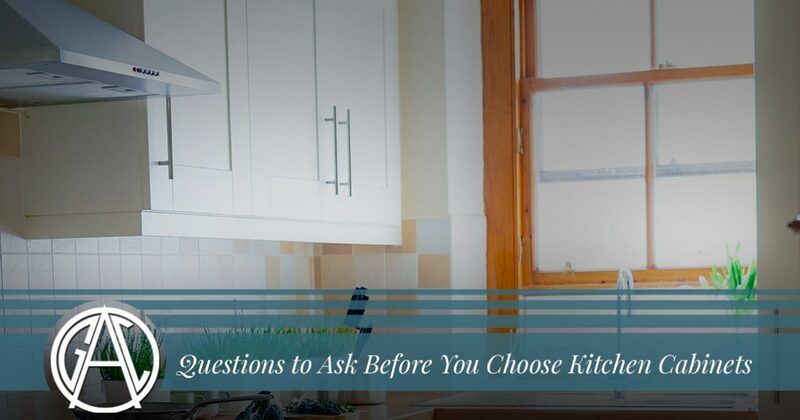 We’ve listed some important questions to ask yourself before you begin working on your new kitchen cabinet design. When you’ve finished reading this post, get in touch with a member of Affordable Granite & Cabinetry Outlet to learn more about how we can help you design the kitchen of your dreams. You can reach us at 877-778-2373 , or you can fill out our convenient online contact form to give our kitchen design experts more information about your remodel. What Is It About My Current Kitchen Cabinets That Isn’t Working? In order to get the most out of your new kitchen cabinet design, you need to analyze the shortcomings of your old kitchen cabinets. Maybe they didn’t provide enough storage, or perhaps they were unattractive, broken, or weren’t installed in the most useful place in your kitchen. Once you know what you want to fix, you can get to work on a modern kitchen cabinet design that solves the problems caused by your old kitchen cabinets. If you’re not sure where to begin, then just ask our kitchen design experts for advice. We can help you determine if you should opt for fully custom cabinets, or if stock cabinetry would be a good fit for your needs. Do I Plan on Selling My Home Soon? You might be planning on living in the same home for the foreseeable future, and if so, you only need to worry about the needs of you and your family when creating your kitchen cabinet design. If you do plan on selling your home at some point, however, you should design kitchen cabinets that will appeal to the average homebuyer. While it can be tempting to choose a trendy design that’s popular right now, you can never be sure if the design you choose will remain in vogue for the next several years. You can work with an experienced kitchen designer to pick out kitchen cabinets that are simple, classic, and will be universally functional for anyone who uses the kitchen in the future. What Is My Overall Kitchen Design Scheme? Your new kitchen cabinets should complement or blend in seamlessly with your overall kitchen design. You can match the color, material, hardware, and general kitchen cabinet design to your kitchen countertops, kitchen island design, kitchen flooring, and kitchen appliances. This will ensure that your kitchen design is cohesive and appealing. This will make your kitchen more aesthetically pleasing and comfortable, as well as more attractive to homebuyers if you do decide to sell. If you’re selling your home, then be sure to include pictures of your gorgeous new cabinets in your listing! What Will My Future Needs Be? You should have an eye toward the future when you’re choosing your new cabinets. If you know that your little ones will be growing and eating more in the next several years, then choosing larger cabinets with more storage space is a smart idea. On the other hand, if your children will be moving off to college and starting their own lives within the next few years, then you may want to choose cabinets that don’t take up as much space. A simple, low-key kitchen design might be exactly what you’re looking for! Do My New Kitchen Cabinets Match the Rest of My Home? We noted that your kitchen cabinets should match the rest of your kitchen, and this is a fairly basic and uncontroversial point. However, many homeowners consider the kitchen to be an isolated area and consequently don’t consider if their cabinets will match the rest of their home. Whether or not you choose to have a continuous aesthetic theme is completely up to you, and some homes work well with a mix of different styles. Old Victorian homes with a fully renovated modern kitchen, for instance, can be incredibly beautiful. Consider how you want your entire home to feel and choose your new cabinets accordingly. How Strict Is My Budget? When you’re taking on a kitchen remodel, you probably have a spending range in which you’re comfortable. You don’t have to spend tens of thousands of dollars to get the kitchen cabinets you’ve always wanted, but we recommend considering “splurge” items that might cost more, but will increase your long-term happiness. A slightly more expensive handle or a special feature might increase the initial sticker shock of your remodel, but 10 years down the road, you’ll be glad that you made the investment to get what you truly wanted. You’ll likely only remodel your kitchen once, so make it count! How Experienced Is the Remodeling Company? Kitchen remodeling is no easy feat, and you need to ensure that you’re choosing the right remodeling company for the job. 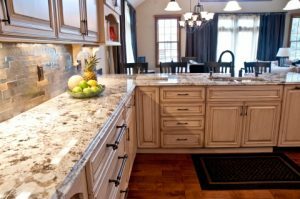 Affordable Granite & Cabinetry Outlet has been in business for more than a decade, and our customer reviews and testimonials certainly speak for themselves. With a reputation for delivering exceptional customer service consistently with every job we take on, you can trust that we’ll exceed your every expectation. We hope that this post will help you choose the perfect kitchen cabinets for your home. We know that we can’t possibly cover all of the questions that arise during a remodel, so please reach out to us at 877-778-2373 or fill out our contact form to request more information. We look forward to working with you soon!